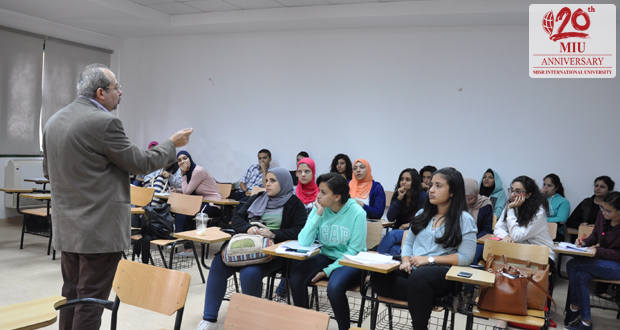 Misr International University’s Management Department organized two workshops entitled “Career Path & Succession Planning” and “Compensation & Benefits” on November 22, 2016 for Business students. The “Career Path & Succession Planning” workshop was conducted by Dr. Salah El Reffai, where he discussed how to use a SWOT analysis to set goals and define business succession planning. While the “Compensation & Benefits” workshop was conducted by Dr. Magued Naguib, as he tackled how to establish a strategic pay plan and design an effective performance-based incentive plan.